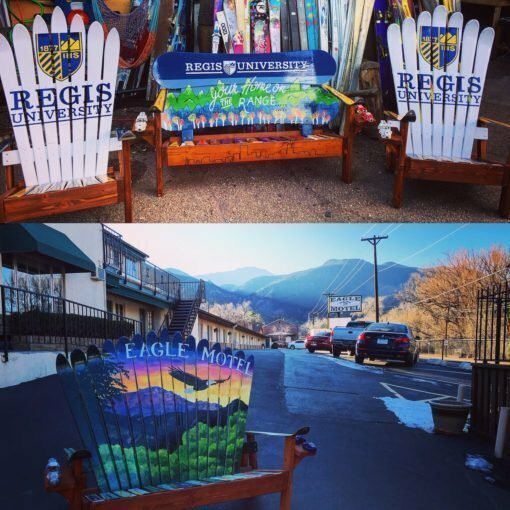 Custom Painted Ski & Snowboard Benches hand painted with oil, adirondack style. 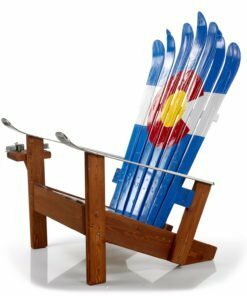 One of our top sellers for the past several years, you can’t go wrong with this beauty. 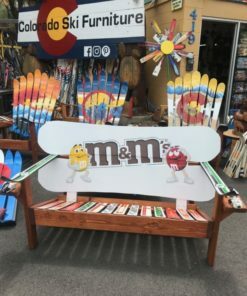 Our Custom Painted LOGO Ski & Snowboard Benches will display your love of the slopes all year long. 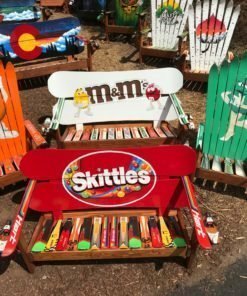 Custom Painted LOGO Ski & Snowboard Benches available in many styles and colors, custom hand painted to your design specifications. 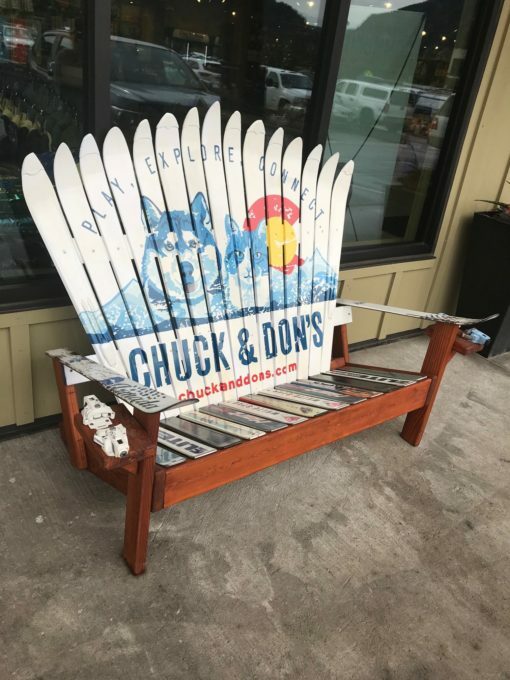 You can’t beat the comfort, style, durability and beauty of this bench. 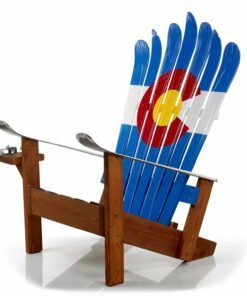 It’s a great investment. It will be the talk of any party you host and will make you smile every time you look at it! Roughly 58″ wide 36″ tall and 36″ deep, all of them are unique, made to order! 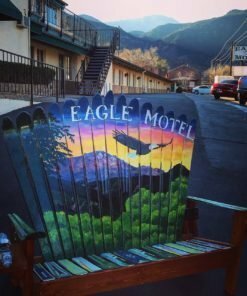 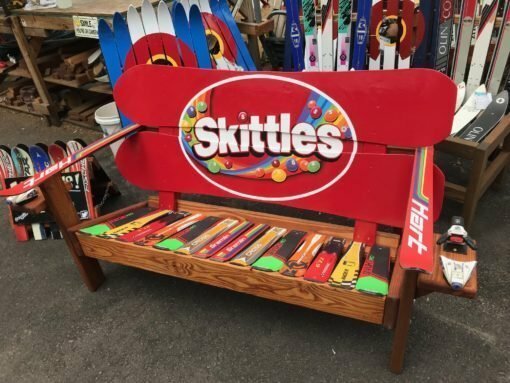 We can work with you to design your own unique bench with a mural or logo! 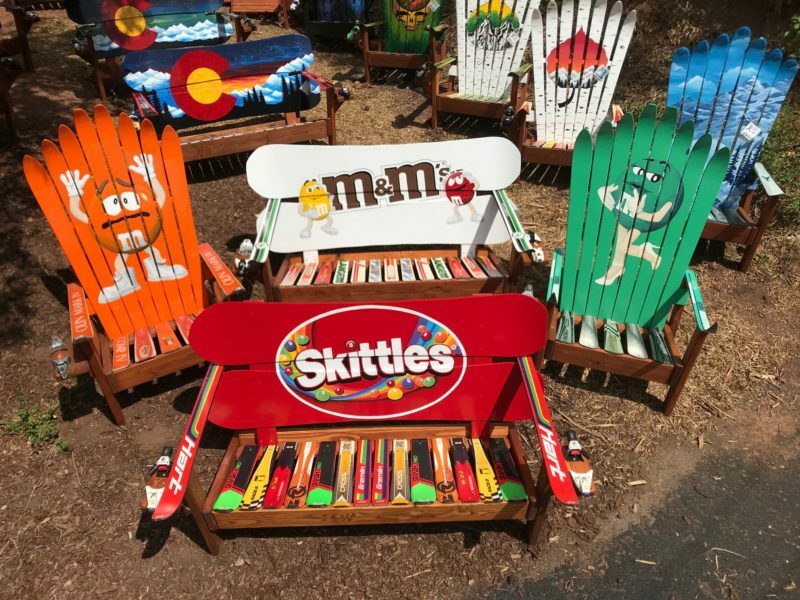 We also do custom, chairs, signs or other pieces of furniture! 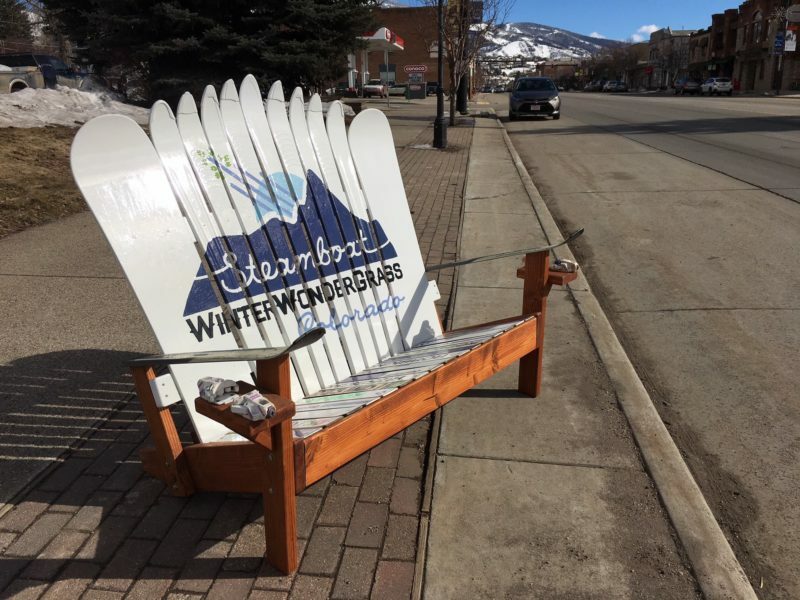 Many business buy a custom designed bench that is a great advertisement for their shop. 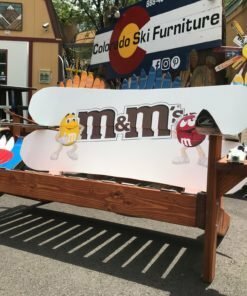 Custom Painted LOGO Ski & Snowboard Benches prices range from $995 – $1795. 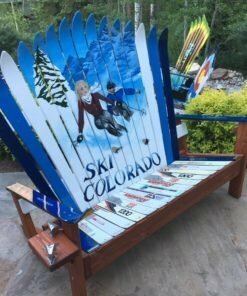 Please contact us to discuss your design ideas, and what type of custom work we can create for you. 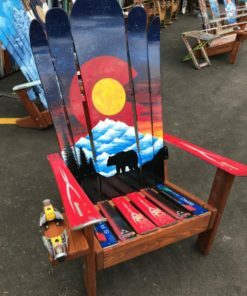 Buy local, shop small and take advantage of these beautiful creations to impress your friends, family, clients or loved one with an impressive, memorable Colorado made creation! 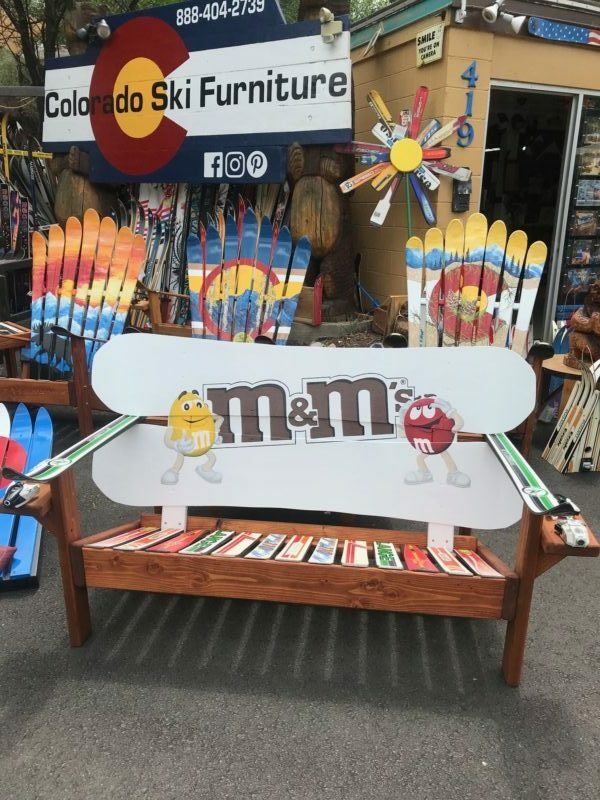 We can finish them with snowboards or skis for the arms, binding cup holders and seat boards as well, so let us know what you’d like most! 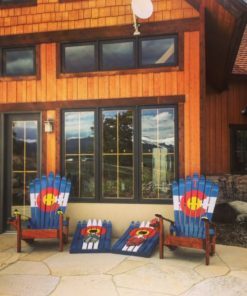 Thanks for your interest, we have an incredibly high customer satisfaction rating as well so buy with confidence and know we’ll make it right for you. 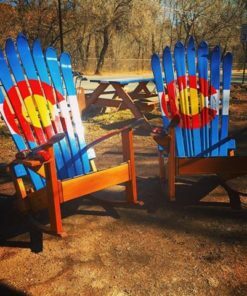 We want you as a repeat customer and we want you to tell others about how well we took care of you & your order! 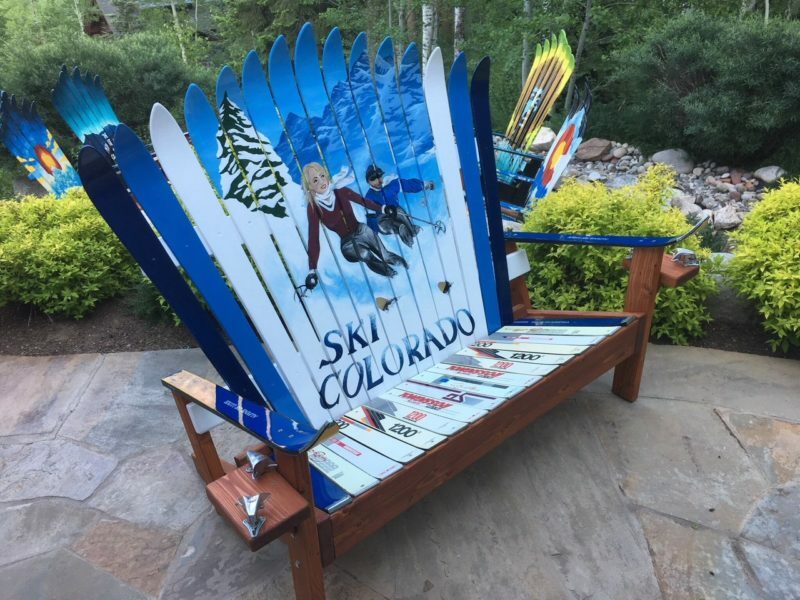 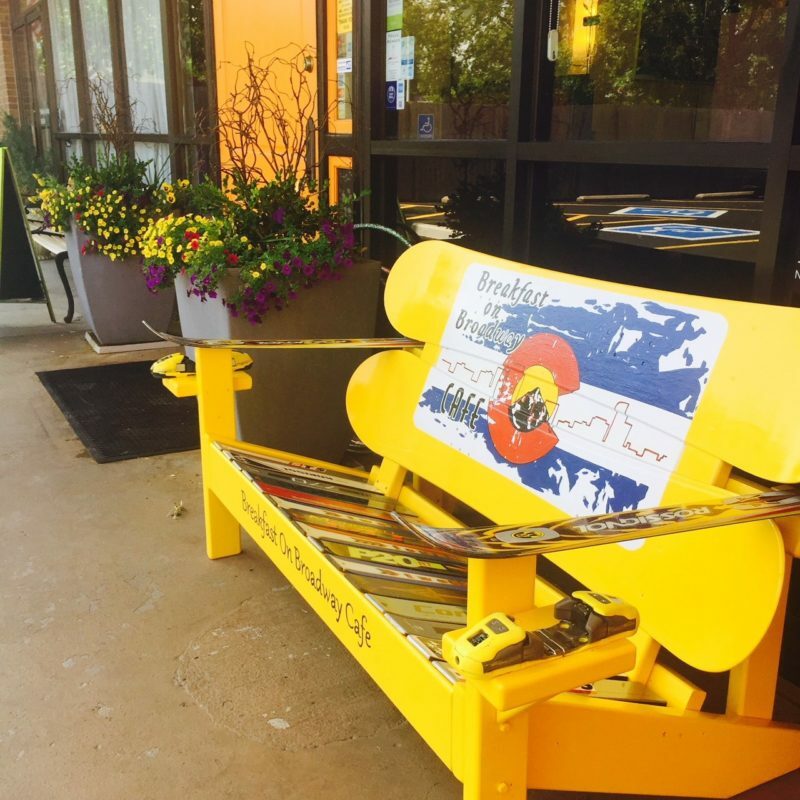 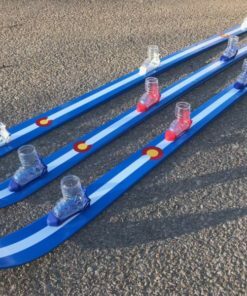 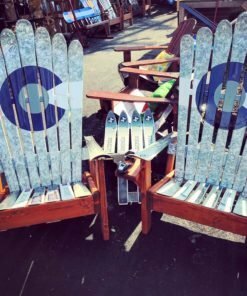 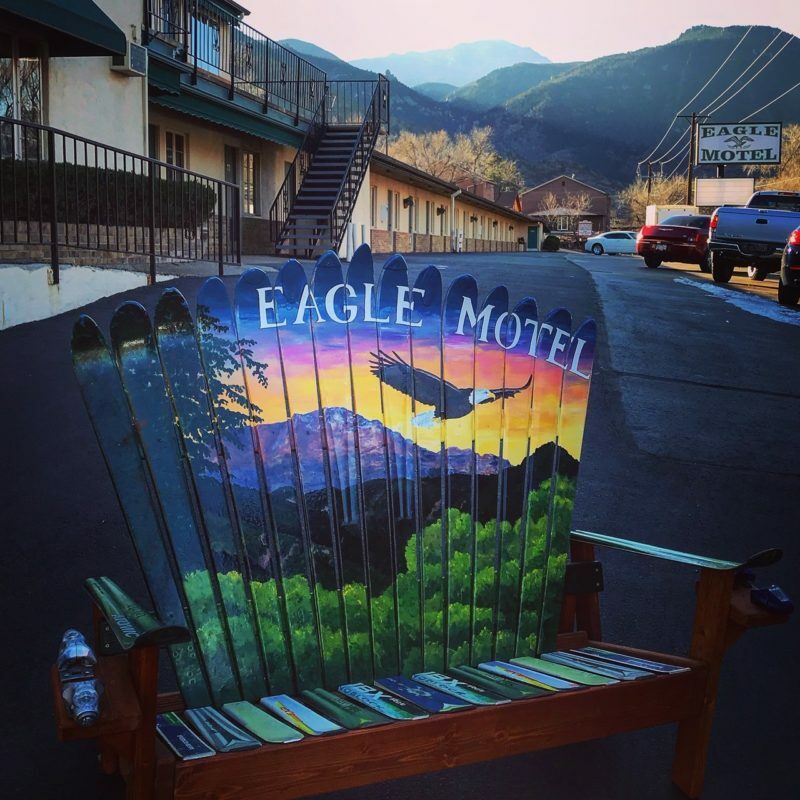 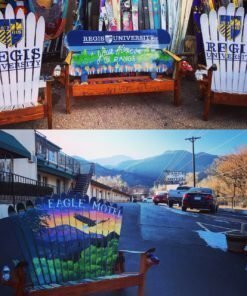 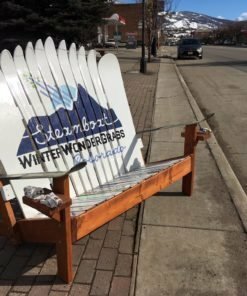 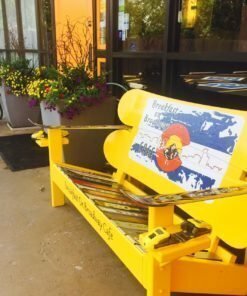 We want you to cherish your Custom Painted Ski & Snowboard Benches and order more! Hand painted designs like our Custom Painted Ski & Snowboard Benches take time and are made to last in the elements. 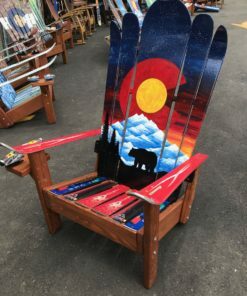 We hand paint almost all of our designs with exterior oil paint and make sure you’ll get a product that’s both beautiful and durable. 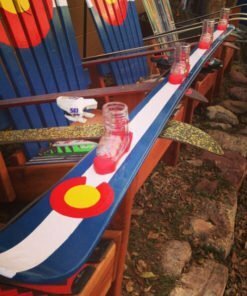 We charge $50/hour for customization so think about what you’d like to add to your unique design and we can add just about anything you can dream up! 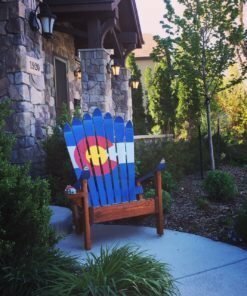 We’re typically 2-4 weeks out on production time, sometimes longer, but if you have a deadline, we can typically meet it! 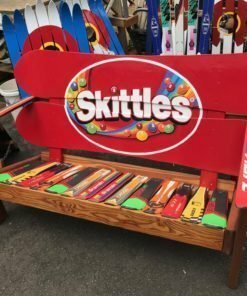 Also, don’t be shy on your budget, we can typically work with you to get creative to help you get what you want and stay within budget. 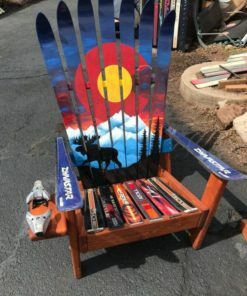 Also, remember you’re buying a quality, hand made, durable good meant to last for years and years so if you look at it as an investment that will last you for many years to come, we are typically much less expensive per year than many store bought goods from the big box stores. 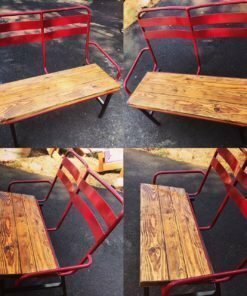 Buy quality, not something quick and cheap. 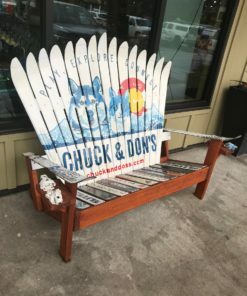 We’re proud to be a small business, locally owned and operated and focusing on customer service and quality! 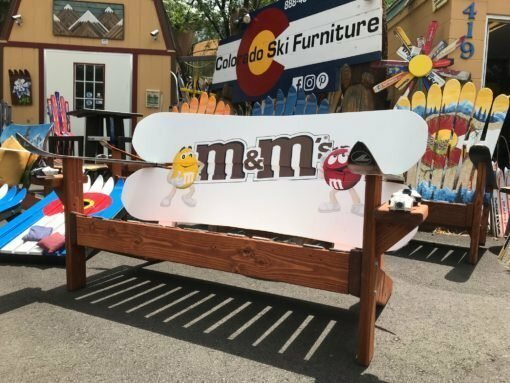 Custom Painted LOGO Ski & Snowboard Benches are super popular, timeless and comfortable! 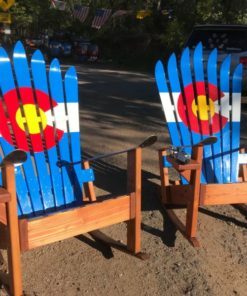 Order some for your deck, firepit or patio today!